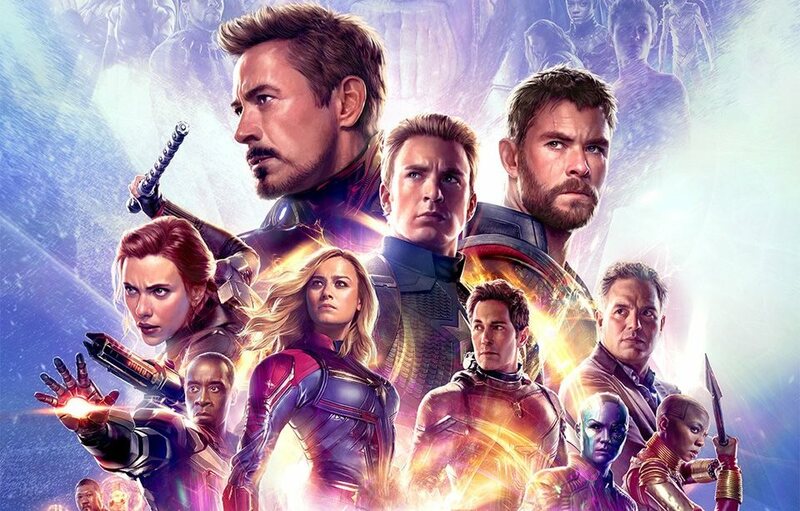 It’s 2 weeks until the release of Avengers Endgame, and as I did with Avengers Infinity War I thought I’d do a blogpost for my predictions for the movie. - Our remaining heroes regroup and attempt one final attack on Thanos, in an attempt to avenge the fallen and also try and get the Infinity Gauntlet to reverse the snap. - They fail, suffer some (surprise?) loses and the Infinity Gauntlet is destroyed. - A significant amount of time passes and our defeated heroes are trying to move on, but can’t. - Ronin will be recruited by Black Widow to help. - Bruce Banner becomes Professor Hulk (potentially a result of the first fight with Thanos). - Ant-Man returns and the concept of time vortex’s is introduced. - Tony, Professor Hulk and Scott develop technology to travel through time, with the new plan of collecting the Infinity Stones before Thanos can. - The second act will primarily feature our heroes splitting in to teams and jumping to different periods of time collecting the stones, most likely including a trip back to the Battle of New York and (the not seen in Infinity War) Battle of Xandar. - Our heroes are somewhat successful and the dusted heroes return, which culminates in a huge battle that features ALL of the returning MCU heroes fighting Thanos and his armies (I suspect some returning villains as well). - I don’t think they will reverse the snap, but ultimately they will work out a way to bring the dusted half of the universe back. The above is obviously very broad strokes, and we’ve so little to go on it’s very difficult to predict much more than this overall, however I do have a list of specifics things I think will happen. - The movie opens with Hawkeye with his family training his daughter with the bow and arrow, they all turn to dust in front of him. - We cut to an extended version of the Captain Marvel mid-credit scene which shows the remaining Avengers reviewing the countdown of all the missing people and her returning to Earth. This leads into (and confirmed by the latest clip) the Avengers on Earth deciding they need to go and face off against Thanos to see if they can reverse the snap. - We cut to the Avengers Endgame title. 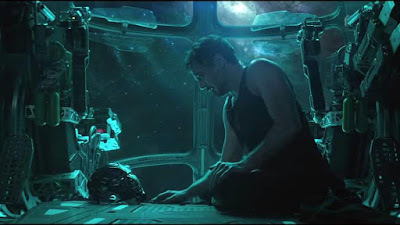 - We cut to Tony and Nebula stranded on the Benatar – basically the scene from the first trailer. I don’t know specifics from this point out, but think the movie will cut between our heroes on Earth trying to work out what to do and Tony / Nebula getting back to Earth. I think Pepper Potts might actually be involved in Tony’s return, wearing the Rescue armour set (I think the shot of Tony and Pepper meeting and hugging in the newest trailer is fake or misplaced). - I honestly think the “dusted” characters are going to be in the movie a lot more than expected, or at least some of core ones. If the theories of the dusted characters not actually being dead and existing in the soul stone are true, I think we could see them early in the film, with potentially Doctor Strange projecting himself to the survivors and telling them. - Plus as I said in my summary, I genuinely believe when the dusted characters return there will be a huge battle that features pretty much every character in the MCU, and we will get a truly epic hero shot featuring all of them. This is definitely third act stuff though. - Although time travel will feature in some capacity, my theory is that it won’t technically be time travel in the current universe. I think our heroes will actually be time travelling into a parallel dimension. This works two fold, one it allows the heroes to visit previous sequences in the franchises and get the stones, but from an audiences perspective it doesn’t re-write or make the existing movie irrelevant. If it is just straight-forward time travel, then this would undermine pretty much all the movies that have come before and I don’t think Marvel really want to do that. - I think Captain America will die, but not really… Basically Captain America will (appear to) sacrifice himself to “save the day” and the other characters will believe he has in fact died. However, part of his sacrifice will inadvertently send him back in time, which will result in him having his “last dance” with Peggy Carter. This is potentially the mid-credit scene. - I think Captain Marvel is actually going to be pretty weak against Thanos and not be the “secret weapon” the Avengers are expecting her to be. Why do I think this? Well mainly because she got her powers from the Terrasact / Space Stone and Thanos has the Space Stone in the Infinity Gauntlet. There were also a few lines in Captain Marvel where Jude Law’s character Yon-Rogg says something along the lines of “You can’t beat what created you” and although he was talking specifically about the Kree blood, I think this might become a lot more literal in Endgame. - Hela will feature in the movie in some capacity, similar to Red Skull cameo from Infinity War. We haven’t seen any leaks to support this, but I just have a feeling she’ll make an appearance. Mainly because in the original Infinity Gauntlet comic, Mistress Death (who has a lot of similarities with Hela) is a big part of the story. Now I don’t think it will be in the same capacity, as in the book Thanos’s motivations are to impress Death (and in the movie we know they’re different), but I think she will feature. - Loki will be in the film, but this will be a past version – the real version dies definitely as of Infinity War. - Captain America will wield Mjolnir at some point. - I think all people / heroes dusted will return as they are not really dead, and are in the Soul Stone realm, however anyone killed prior to snap are dead for good. Gamora is a question mark as her death is linked to the Soul Stone (and Infinity War even confirms her younger self is there), so I think she will be the exception. - The movie will end with Tony and Pepper’s wedding (yes – I don’t think Stark is dying in the movie), I think he’ll retire from the Avengers (and therefore won’t feature in future movie’s prominently – but will likely turn up for a few cameos). That's about it, there's lots of the theories and thoughts I have but I don't want to over think it anymore. Alot of those theories ive seen mentioned as far as January. Also with toy leaks it appears to confirm that there is a second Infinity Gauntlet created by Tony. Nebula has been strongly rumoured to die. A final massive battle takes place at Avengers HQ, with Thanos making a point of stomping on Avengers badge. Lots of people who have seen shareholder screener saying that opening scenes are of Tony sending his message then remaining avengers meeting Cap Marvel and not Hawkeye. But we will see. Tilda Swinton in cast list so expect to see The Ancient One. Rest seems pretty sensible guesses. It was let slip by the cast the Avengers split into 3 groups also. During the 2nd/3rd acts.